What role does national policy have to play in mitigating the economic crisis? For more information on Governor Serra's speech at the Foresight International Conference, click here. Read Part I here. Overall growth in the whole world will be subdued for a long time, but growth differentials will be more pronounced than before. The net debt of the United States and United Kingdom will be at 70% of GDP by end of 2010, according to official estimates — a near doubling of pre-crisis levels. The global recovery will be led by emerging markets, especially the large economies in Asia and Latin America with sizable domestic markets. No more than 15 countries, considering the European Union as a single entity, are responsible for about 80% of all gas emissions at the root of global warming. The central economies' financial meltdown spread to so-called emerging economies not through its original causes, but through its effects. In the recent past, financial sectors in industrialized countries frequently pushed their governments to impose on developing nations premature and dangerous concessions of financial liberalization that were mainly in the narrow interest of the same people who brought about the current crisis. Too often this international dimension of Wall Street greed was a precondition of free trade agreements. It is regrettable that many international organizations and official banks took a very active part in this misguided attempt at promoting an incorrect concept of globalization. It is by no means a coincidence that the two nations that were better able to resist the pressure, namely China and India, are the two economies least affected by a financial meltdown that virtually destroyed the likes of Iceland and others who eagerly embarked in the financial delusion. We should further expect the U.S. government to keep its commitment to a vigorous stimulus fiscal package as long as it is necessary for a consolidation of economic recovery, without premature and unjustified fears of a return to inflation. We acknowledge the important contribution received by Mexico and Brazil from the U.S. Federal Reserve last year under the form of a currency swap line of $30 billion for each country. We hope that the new Administration will show its willingness to preserve and expand similar initiatives for Latin America, in case it proves fitting and sensible. We rejoice in President Obama’s determination to give central priority to job creation, reversing the dangerous increase in inequality over decades of market fundamentalism. I also praise his attempt at linking the economic recovery to the pressing priority of fighting global warming and developing clean and renewable sources of energy. At the same time, we hope that the new Administration will not implement protectionist measures such as the “Buy American” provision. Above all, we expect that the United States will recover its lost leadership in multilateral trade negotiations by abandoning its current dependence on huge agricultural subsidies, thus removing one of the major obstacles to a fair and balanced conclusion of the Doha Round of negotiations of the World Trade Organization. As regards to the new growth dynamic of the world economy, the relative position of emerging market economies — vis-à-vis the world market — will be strengthened. A number of reasons account for the rebalance: one, growth differentials; two, current account imbalances; and three, domestic debt differentials. The global recovery will be led by emerging markets, especially the large economies in Asia and Latin America with sizable domestic markets. Prior to the Lehman collapse, emerging market economies displayed solid growth in spite of the decline in growth of mature economies. The Lehman event proved to be a landmark, as it precipitated a global scramble for liquidity. Emerging market economies were heavily affected by this major liquidity event. Once liquidity conditions in the whole world normalize, however, one should expect the resumption of the growth differentials that prevailed before the Lehman shock. True, the emerging market economies cannot be described as a single bloc. In Latin America, there are countries following unsustainable economic policies, like Venezuela. In Eastern Europe, there are countries in which the adverse linkage between exchange rate devaluations and banking magnified the impact of the Lehman liquidity squeeze, provoking sharp declines in economic activity. In Asia, some export-led economies like Korea faced difficulties in replacing external demand with domestic demand. But overall it may be said that growth in the emerging market economies will be in 2009 and 2010 above growth in mature economies. If one considers the bloc of emerging market economies against mature economies, the current account balance was roughly in equilibrium (close to zero) up to 1998. From 1998 onwards, emerging market economies exhibited a current account surplus. The current crisis decreased the surplus somewhat ($438 billion in 2007 to approximately $300 billion in 2009 in IIF estimates), but the imbalance will in all likelihood increase again in 2010. The argument that the so-called Breton Woods II informal agreement would fade away proved to be ungrounded. Emerging market economies will continue to be creditor economies. The widespread adoption of anti-cyclical fiscal policies will lead to higher debt-to-GDP ratios the world over. But the impact will be more dramatic in G7 economies. The net debt of the United States and United Kingdom, for instance, will be at 70% of GDP by end of 2010, according to official estimates — a near doubling of pre-crisis levels. Some mature economies may experience even larger numbers. As a consequence, market perceptions of relative risk will change in favor of emerging markets, at least in those where governments know how to put in practice sound economic policies. 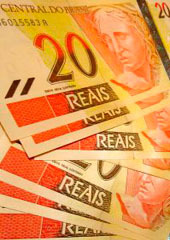 In this context, one should expect a rebalance of power within multilateral institutions such as the IMF; real emerging market currency appreciation relative to mature economies; and growing trade between emerging market economies, leading in some cases to the denomination of trade agreements in emerging market currencies. In the same way, one should expect an increase in finance and investment flows between emerging private companies, dispensing with the intermediation of mature economies’ financial institutions. What countries among emerging economies will fare better, and what countries among mature economies will perform least poorly? The answer depends on objective circumstances — namely, how they interact with the global economy and above all, how successfully they take advantage of their own national space to enact decisive economic policies to promote their development according to their own specificities and interests. Finally, a few words on the future role of the G20. It may not be the ideal and definitive formula for governance of a globalized world. Neither should it be seen as a substitute for a reformed Security Council. It is certainly not a universal panacea for solving all international problems. Yet it is, nevertheless, a practical and reasonably representative arrangement for tackling challenges where size and weight do matter. It can help create a more effective and fair financial and economic order, as well as aid in trade negotiations and climate change issues. In order to fulfill this potential, however, the G20 has to deliver on the ambitious promises made in London regarding financial regulation and supervision — particularly in bringing about full transparency in markets created by financial innovation. The U.S. government is setting the example by putting forward a comprehensive plan to overhaul and update financial regulation and supervision. But as Mr. Timothy Geithner and Mr. Lawrence Summers have stated in the press, national actions will have little effect if they are not matched by similar international standards. Consequently, they have promised that the United States will lead the effort to improve regulation and supervision around the world. G20 members should fulfill their pledge to produce meaningful reforms in the financial sector. The task should be given pressing priority, or we run the risk of wasting the crisis by allowing reform efforts to falter as people become relaxed and deluded by premature signs of a superficial recovery. First and foremost, the G20 has to keep its word and meet the commitment to introduce a more balanced representation in the governance of the International Monetary Fund, the World Bank and other key economic multilateral institutions. Developing countries long marginalized in decision-making should be given a voice and a vote. The reform of the Bretton Woods institutions will be seen as a litmus test of the sincerity and fairness of advanced industrial economies, as it will necessarily entail a redistribution of power and influence from overrepresented nations — mainly from Europe, towards entire continents such as Asia, Latin America and Africa. In practical and immediate terms, it is imperative that the IMF receive expanded resources to support those in need of special help. This goes beyond the newly established Flexible Credit Line (FCL) facility. The usefulness of the FCL has already been demonstrated by the credit lines of $47 billion extended to Mexico and the $10.5 billion line extended to Colombia. The more vulnerable members of the international community who do not presently qualify for the FCL should not be left without adequate assistance. To conclude, I will state the well-known fact that no more than 15 countries, considering the European Union as a single entity, are responsible for about 80% of all gas emissions at the root of global warming. All of them are G20 members. A decisive contribution towards making the G20 an indispensable part of the new international order would be to use it as the negotiating forum of a successful compromise on climate change — a compromise that deserved to be endorsed at the Copenhagen Conference on Climate Change. After having served as the meeting point of different but converging perspectives on the financial crisis, why not try and prove the G20’s usefulness in tackling the most serious threat to human civilization in the years ahead? Editor’s Note: Read Part I here. This article is adapted from Governor Serra’s speech to the Foresight International Conference, given June 18, 2009 in Washington D.C.